There's no doubt that we're all waiting in anticipation (and maybe a little trepidation) for Avengers: Endgame. Before that, however, you'll have to understand how the age of superheroes began with Captain Marvel. Considered one of the most powerful superheroes in the Marvel universe, it was implied at the end of Avengers: Infinity War that Captain Marvel a.k.a. Carol Danvers might be the key to defeating Thanos and possibly reverse the "snap" that dusted half of the universe's population. 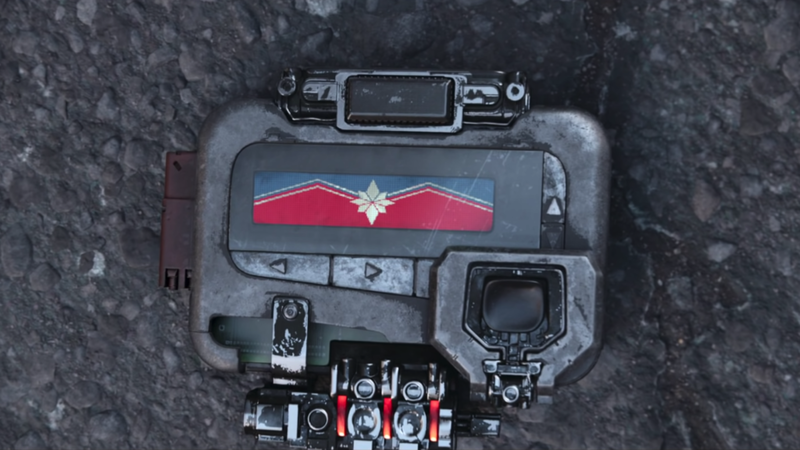 Nick Fury's signal to Captain Marvel right before he got dusted in 'Avengers: Infinity War'. In kicking off the first MCU entry of 2019, Marvel will be bringing some serious star power to Singapore... 'coz Captain Marvel stars Brie Larson, Samuel L. Jackson, and Gemma Chan will be meeting fans at Marina Bay Sands on 14 February! 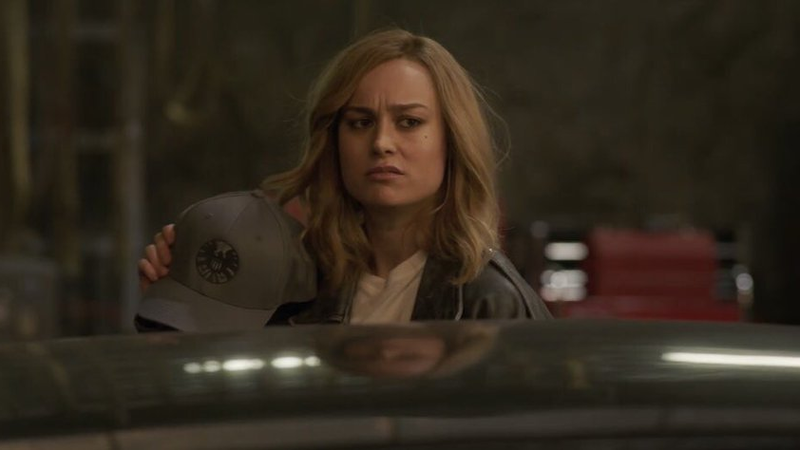 Brie Larson as Captain Marvel / Carol Danvers, judging the SHIELD cap so hard. 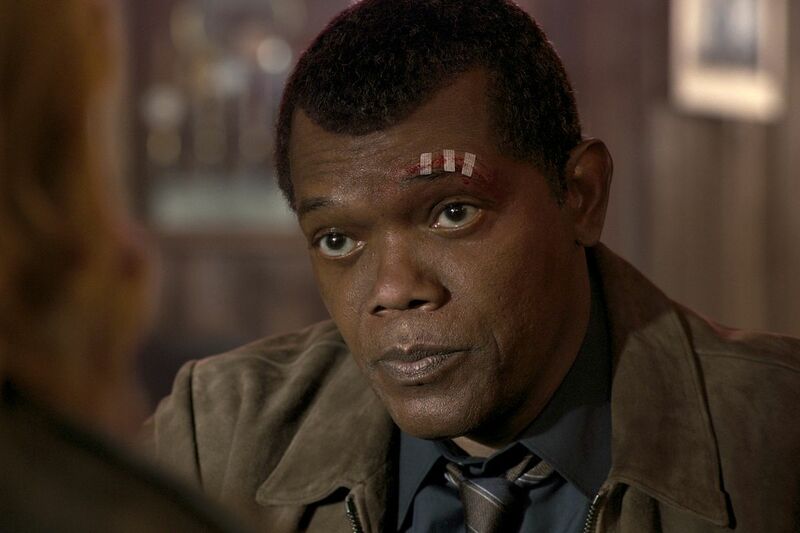 Samuel L. Jackson as young Nick Fury in 'Captain Marvel'. Gemma Chan, playing Minn-Erva, was a breakout star in 2018 rom-com 'Crazy Rich Asians'. 1. Sign up for an account with Marina Bay Sands or SISTIC. 2. On Sunday, 10 February, head over to the event page on Marina Bay Sands' website to register from 10am onwards. 3. On Thursday, 14 February, you are required to be physically present to collect your tickets at the Sands Expo and Convention Centre. Check out the FAQ here for more details. Marvel Studios' Captain Marvel stars Brie Larson, Jude Law, Gemma Chan, Ben Mendelsohn, and will also mark the return of Samuel L. Jackson (Nick Fury), Clark Gregg (Agent Coulson), as well as Guardians of the Galaxy's Lee Pace (Ronan the Destroyer), and Djimon Honsou (Korath).